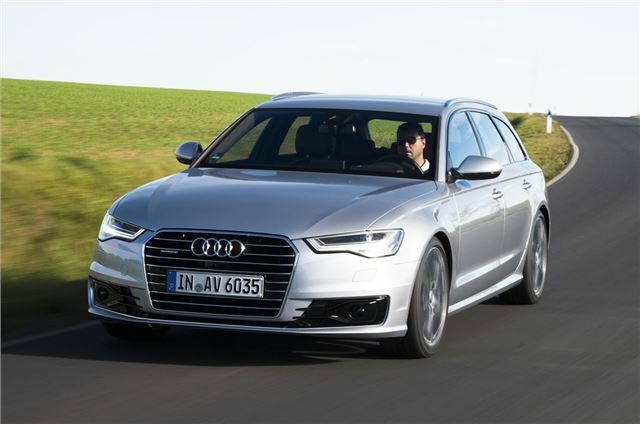 Alongside the BMW 5 Series and Mercedes-Benz E-Class the Audi A6 is a stalwart in the middle-management saloon car sector. Buyers aspire to get out of A4s and into the bigger A6, even if they’ll likely be powered by the same, 2.0-litre TDI engine. It is hardly surprising that diesels make up the majority of A6 sales in the UK, the only petrol offerings being the turbocharged 4.0-litre V8 thats power the S6 and RS6 performance range-toppers that sell in tiny numbers to a dedicated, deep-pocketed handful of enthusiasts. For the majority then, it’s all about that 190PS 2.0-litre TDI, which now wears Audi’s ‘Ultra’ badge, denoting the cleanest, most efficient choice in the range. It is the biggest seller by a considerable margin. With good reason too. 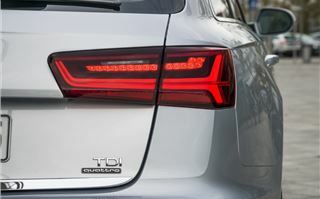 The A6 2.0 TDI Ultra boasts a CO2 figure of just 113g/km and an official combined consumption figure or 65.7mpg. 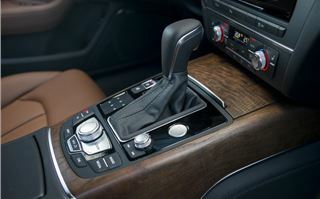 That can be improved if you opt for the seven-speed S tronic automatic over the standard six-speed manual. Do so and it brings an official 109g/km CO2 figure and 67.5mpg for just under £1500. 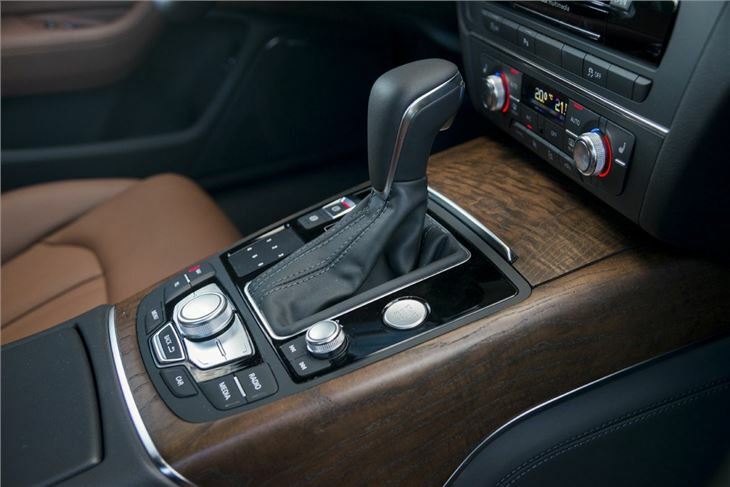 That S tronic automatic gearbox is the biggest single technical revision to the front-wheel drive 2.0-litre TDI model, replacing the previous CVT multitronic automatic. It benefits not just economy, but refinement. The dual-clutch S tronic also features a coasting function. This only operates when the economy mode is selected via Audi’s now standard Drive Select in the MMI interface. It’s signalled by the E in the instrument display and obvious when the rev-counter’s needle drops to idle at any opportunity on the move - doing so smoothly. That coasting is combined, as ever, with a stop-start system. This, like all the A6’s technology, is refined in its operation in this facelifted range. The Avant version of the 2.0 TDI boasts another innovation, being the first production Audi to feature lightweight glass fibre reinforced plastic springs. These give a weight reduction over standard steel springs and differ little on the road over their steel alternatives. 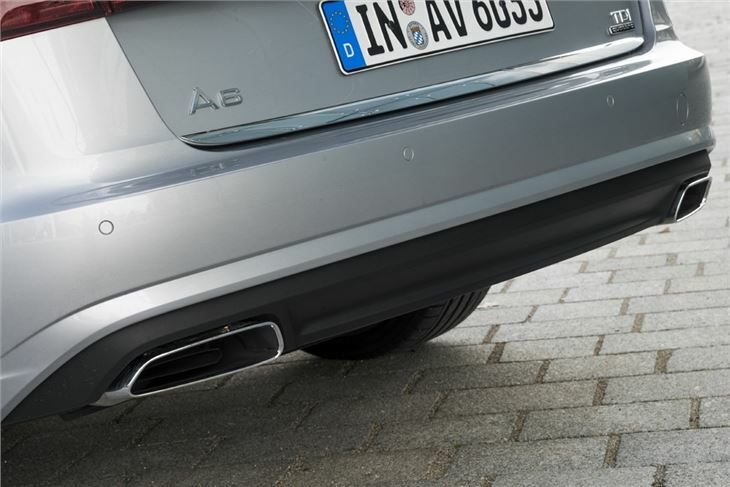 If anything they appear to offer a degree more compliance, though the A6 rides decently enough in any guise, though it’s advisable to delete option (for no cost) the firmer suspension that comes with S line trim. 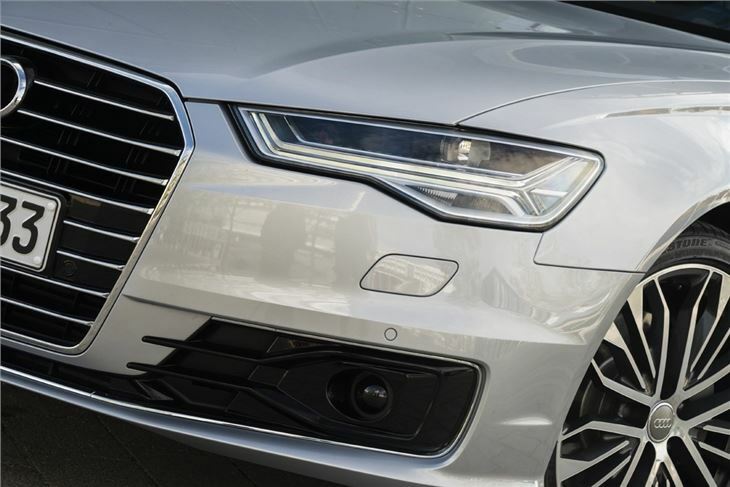 Other changes to the A6 include new headlights, with all A6 models getting xenon headlights with LED running lights plus Matrix LED headlights available as an option. There are LED rear taillights, a reshaped front grille, reshaped front and rear bumpers, wider sill finishers and dual branch trapezoidal chrome tailpipes on all engines. Revisions inside are similarly subtle, you might see the re-shaped gearknob, leather trimmed and multi-function steering wheel, but you’ll need to be really looking hard. 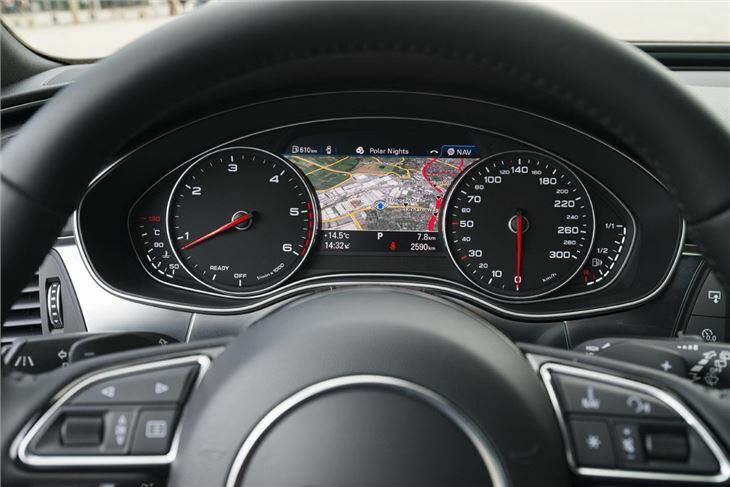 Other changes you’ll not see, but appreciate, include acoustic glazing for the windscreen and front windows plus new software in the A6’s comprehensive MMI interface that controls all the info and entertainment functions. SE models all come with Audi’s Parking Plus System front and rear, navigation and now four-zone as opposed to two-zone climate control. Trim levels remain familiar, the S line adding £2,450 to the price and bringing larger 18-inch alloy wheels, some S line specific paint and trim options, dynamic rear indicators as well as a more striking S line appearance, with reprofiled front and rear bumpers and chrome and honeycomb elements on the front intakes. LED headlamps are also standard with S line, as is 20mm dropped sport suspension - if you want it. If you’re climbing up the slippery corporate ladder then there’s more than the 2.0-litre TDI to pick from, Audi’s six-cylinder 3.0-litre TDI unit is also offered in 218PS and 272PS guise - the latter only coming with quattro four-wheel drive as standard. 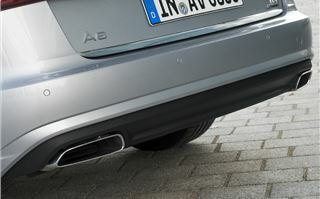 If you’ve outsold everyone else, and the boss is amenable then the 3.0 unit also comes in BiTDI form, delivering 320PS. 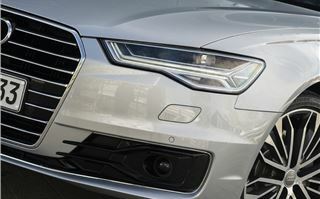 That Allroad gives the A6 range more breadth than its Mercedes-Benz E-Class and BMW 5 Series key rivals, its mid-life update ensuring it remains as competitive as ever against them - even if there is no hybrid offering. The 2.0-litre TDI is a quieter, smoother engine than its Mercedes-Benz equivalent, but lacks the over-delivery of BMW’s 520d. Neither is it as engaging to drive as the BMW. The Audi counters with good looks and plentiful equipment.